Monte Cristo Sandwiches ALMOST as good as the one Disneyland. 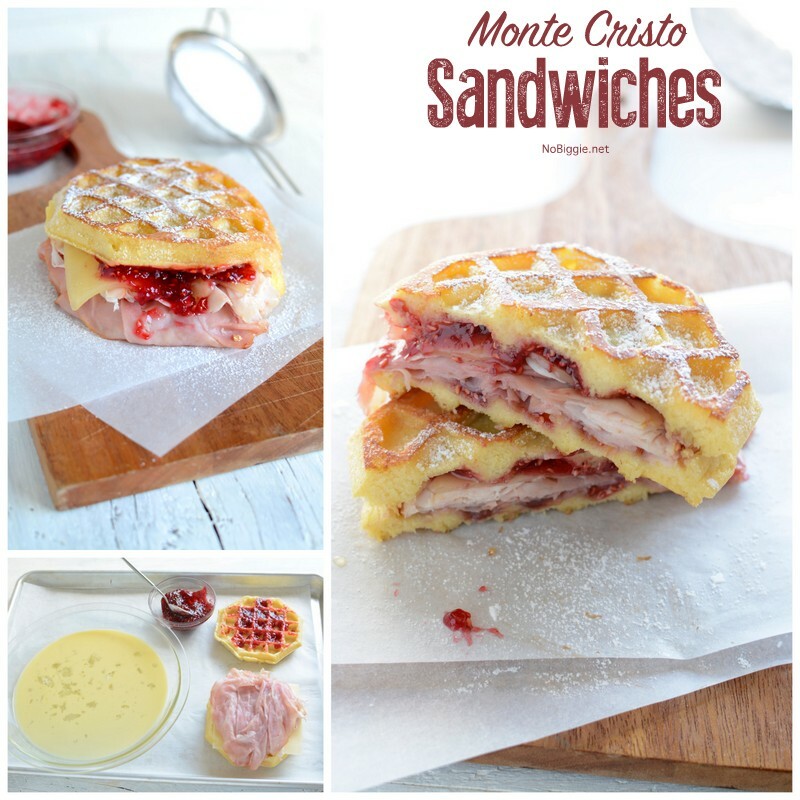 Have you ever tried the Monte Cristo Sandwich at Disneyland? It is amazing…it just is. I crave it when I’m at home. The only problem…It’s expensive in the park, but it’s huge…it can feed 4! I always love to try to recreate favorite food at home, and this is one of those things that’s so hard to get right at home. It might be the fact that I don’t have a deep fat fryer at home, nor do I ever want one. Great News! This version of the Monte Cristo sandwich I’m sharing, is the closest I’ve ever tasted to the yummy one you can get at Disneyland! Yay! 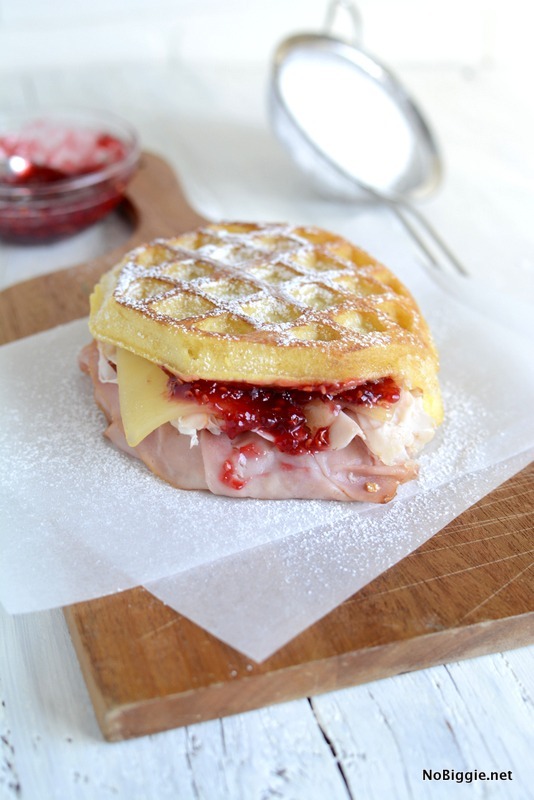 If you’re not familiar with a Monte Cristo sandwich, it’s basically a savory sweet sandwich with ham (sometimes turkey) and swiss cheese and for the sweetness you add jelly or jam. It’s heavenly. 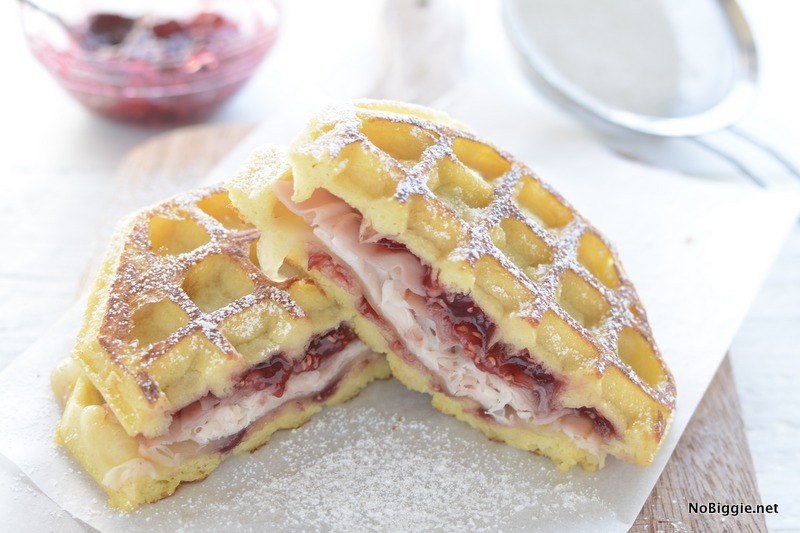 The special ingredient to these sandwiches to get them close to the taste of the one at Disneyland is (…drumroll please) Eggo waffles! I know…crazy right? Don’t mock it until you try it! We are going to glam it up with deliciously thin shaved honey ham and turkey from the deli department. Here’s the sandwich in the making. Spread a little raspberry jam on both sides. Layer on the deli ham, turkey and a slice or two of swiss cheese. Dredge the outsides of the sandwich in an egg milk mixture. You will then cook in a big frying pan until it browns on the edges (on both sides) and the cheese melts. Slice it in half, sprinkle with powdered sugar and serve it with more raspberry jam for dipping. Oh wow it’s good… we’ve now had them at home twice since our trip and my daughter is requesting it for breakfast tomorrow! They’re so good! 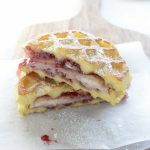 If you love the Monte Cristo Sandwich, you will LOVE this Disneyland CopyCat recipe...it's so easy and so good! 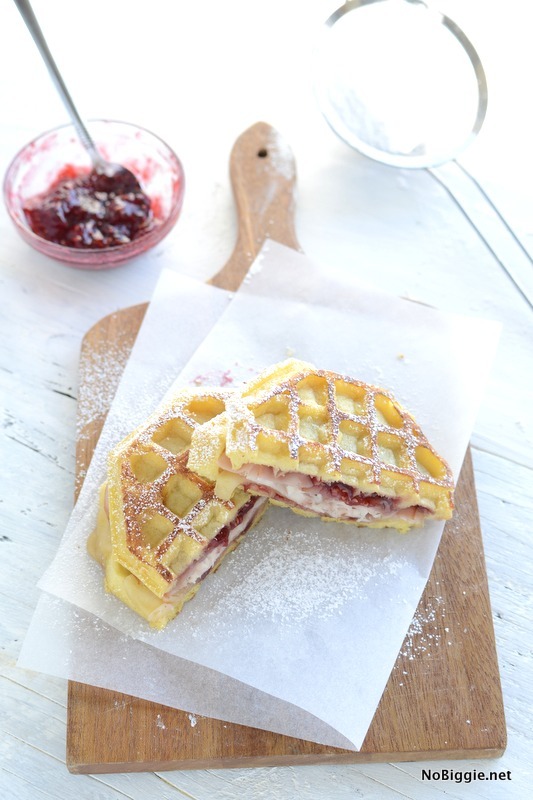 Spread two Eggo waffles with raspberry jam. 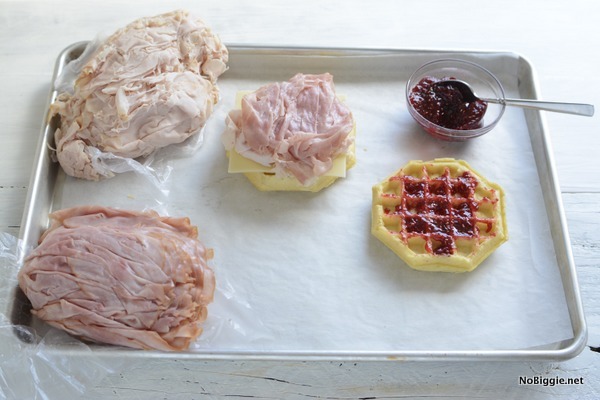 Add a handful of thinly shaved ham and turkey and a slice of swiss cheese. Whisk together the egg and milk and place in a glass pie plate. Dredge the outsides of the sandwich in the egg mixture. Bring a big frying pan to medium heat and melt the butter in the pan. Place the sandwich in the pan and brown on both sides. 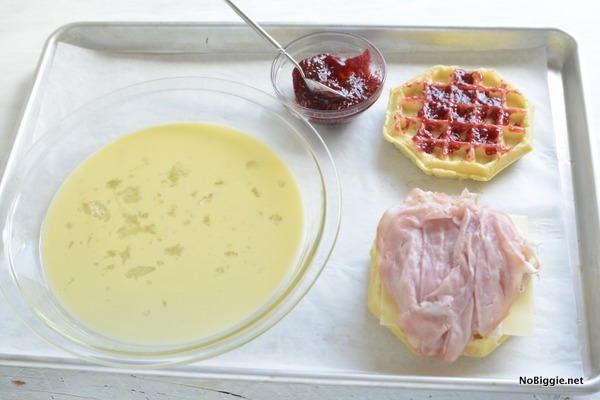 You can cook both the outsides of the waffles at the same time to speed up the cooking time and reassemble the sandwich back together when ready. Serve warm with more jam. Repeat this process for additional sandwiches, adding more butter to the pan as needed. You’ll have to give it a try at home. I’d love to hear what you think? 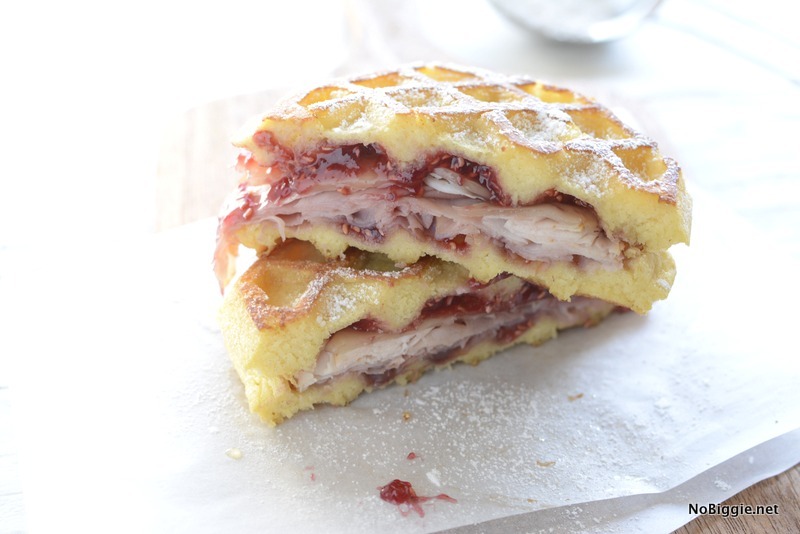 Are you a fan of the Monte Cristo sandwich. I’d love to hear if you think this version even comes close to the one served at Disneyland. Do you thaw the waffles or toast them or just start with them frozen? 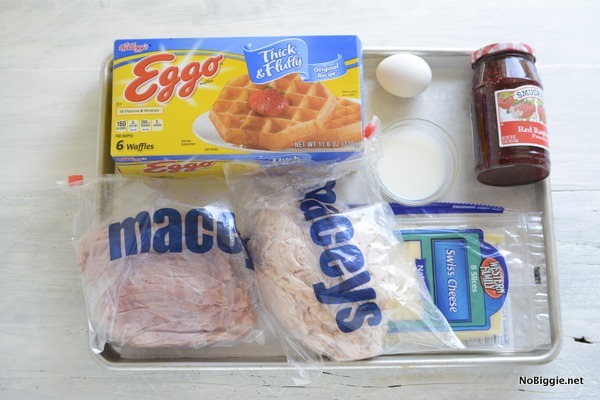 You can thaw the waffles a little, they thaw quickly as you get everything ready to assemble. I hope you love them! I’ve had them there several times, at the Blue Bayou over Pirates of the Caribbean. You’re very close. I don’t think there’s jam in the sandwich. It’s dusted with powdered sugar and served with three items to drizzle on each bite: 2 flavors of jam and a sweet, thin icing if I remember correctly. I can’t wait to try your version, though. I stand corrected – I’ve been reminded they do have jam inside! Hi Sherri! You don’t have to do jam inside, but it’s easier to eat with it inside…if you know you want lots of jam. Which I do! It’s so good! OH MY GOODNESS! I have had these once when I went to Washington DC. Have never found them in Kansas……. I am definitely going to try this! 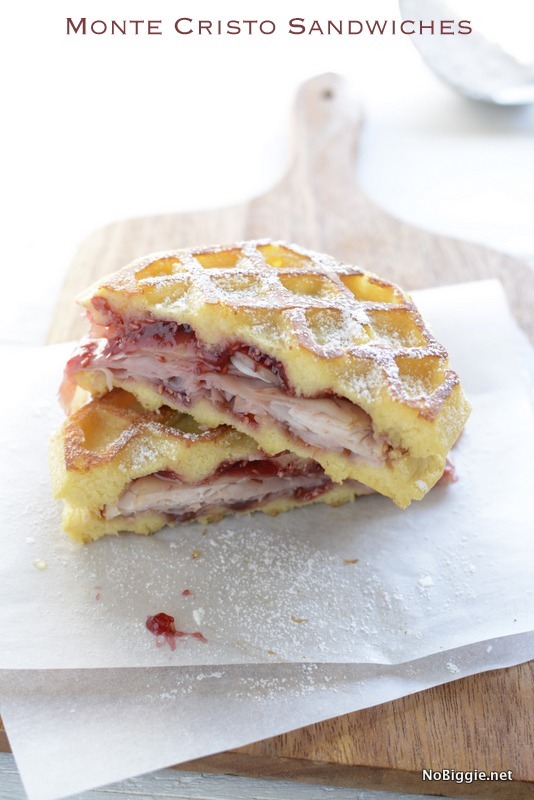 Thank you for this awesome recipe and what a great idea to use Waffles! YUM!